The West continues to be an inferno at the start of September. 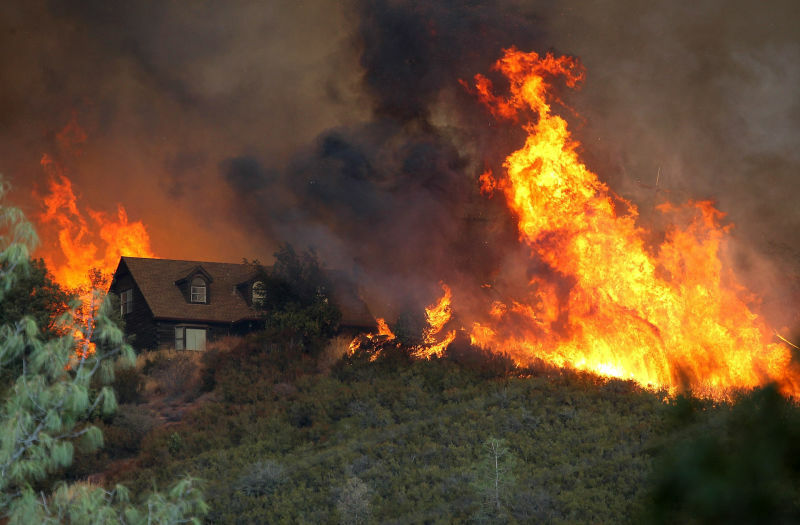 Wildfires have exploded across the region in recent weeks. 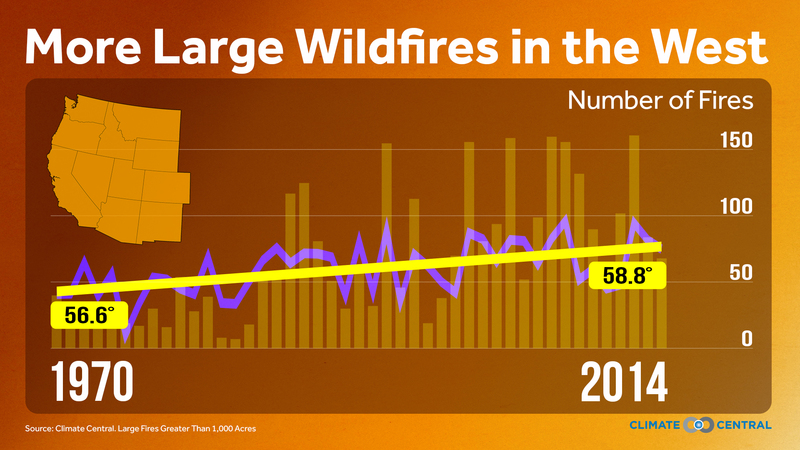 There have been at least 117 large wildfires to date including 70 that are still burning. 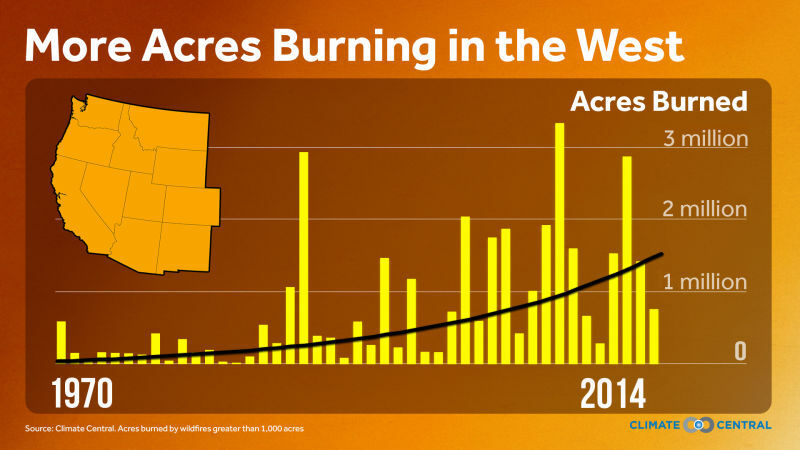 Those fires along with thousands of smaller blazes have contributed to 7.8 million acres burned in the U.S., a record for this time of year. Spring and summer — two key seasons for wildfires — have warmed 2.1°F across the West, on average. Some states, particularly those in the Southwest, have warmed even faster. Add in shrinking snowpack that’s disappearing earlier, and you have a recipe for a wildfire season that’s now 75 days longer and more devastating than it was in the 1970s. This story first appeared at Climate Central, a content partner of KQED. Todd Sanford provided data analysis for this story.